An old rabbi is talking with one of his friends and says with a warm smile, "I gladdened seven hearts today." "Seven hearts?" asks the friend. "How did you do that?" The rabbi strokes his beard and replies, "I performed three marriages." The friend looks at him quizically. 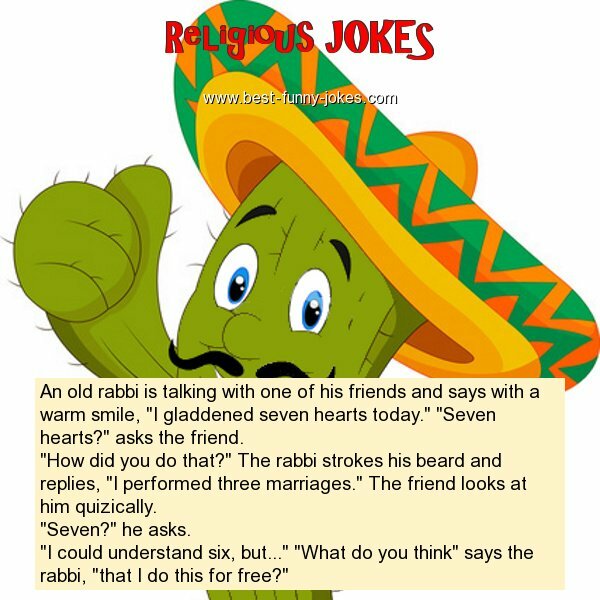 "I could understand six, but..." "What do you think" says the rabbi, "that I do this for free?"